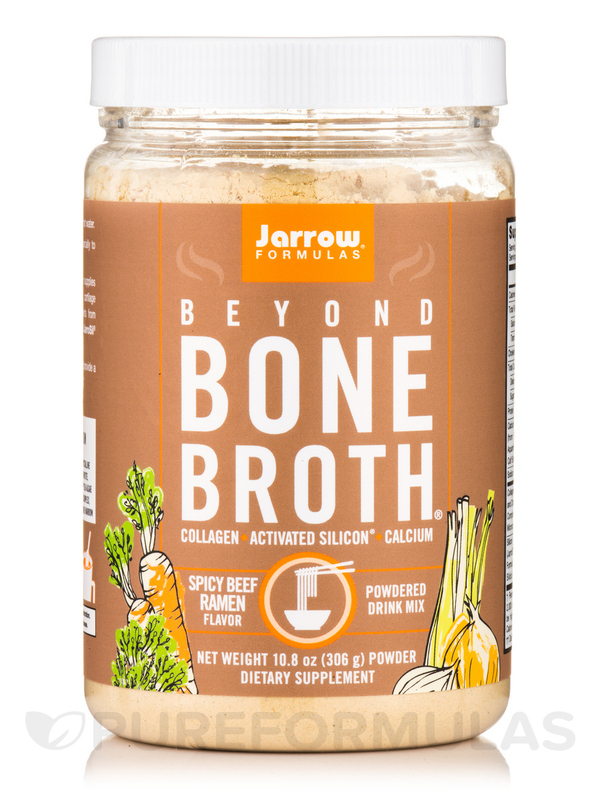 Bone broths are highly valued for their benefits‚ especially to joints and the digestive tract. 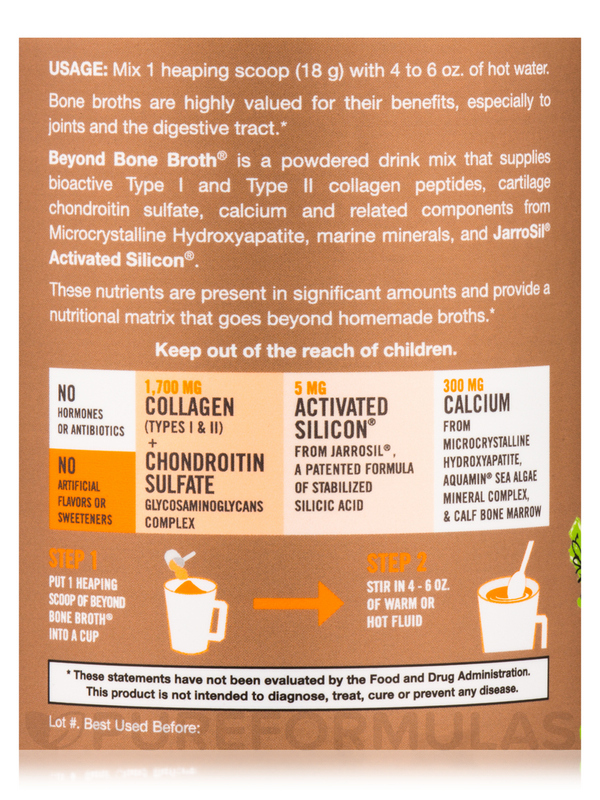 Beyond Bone Broth® is a powdered drink mix that supplies bioactive Type I and Type II collagen peptides‚ cartilage chondroitin sulfate‚ calcium and related components from Microcrystalline Hydroxyapatite‚ marine minerals‚ and JarroSil® Activated Silicon®. 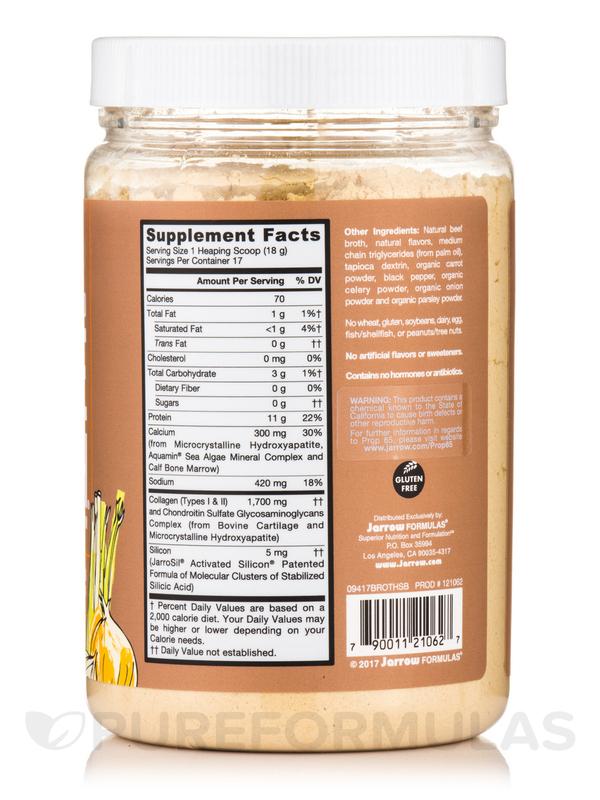 These nutrients are present in significant amounts and provide a nutritional matrix that goes beyond homemade broths. and Chondroitin Sulfate Glycosaminoglycans Complex (from Bovine Cartilage and Microcrystalline Hydroxyapatite). †Percent Daily Values are based on a 2‚000 calorie diet. Your Daily Values may be higher or lower depending on your calorie needs. 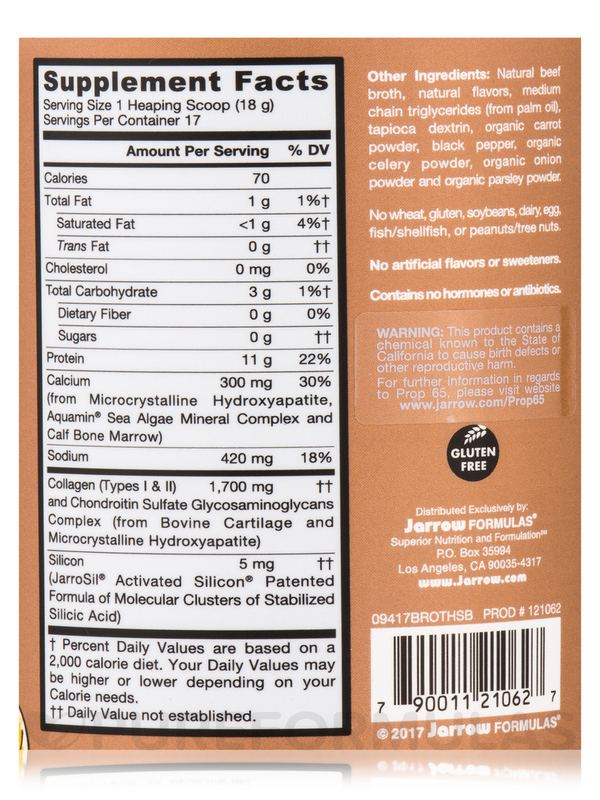 Other Ingredients: Natural beef broth‚ natural flavors‚ medium chain triglycerides (from palm oil)‚ tapioca dextrin‚ organic carrot powder‚ black pepper‚ organic celery powder‚ organic onion powder and organic parsley powder. No wheat‚ gluten‚ soybeans‚ dairy‚ egg‚ fish/shellfish‚ or peanuts/tree nuts. No Artificial Flavors or Sweeteners. Contains no hormones or antibiotics. 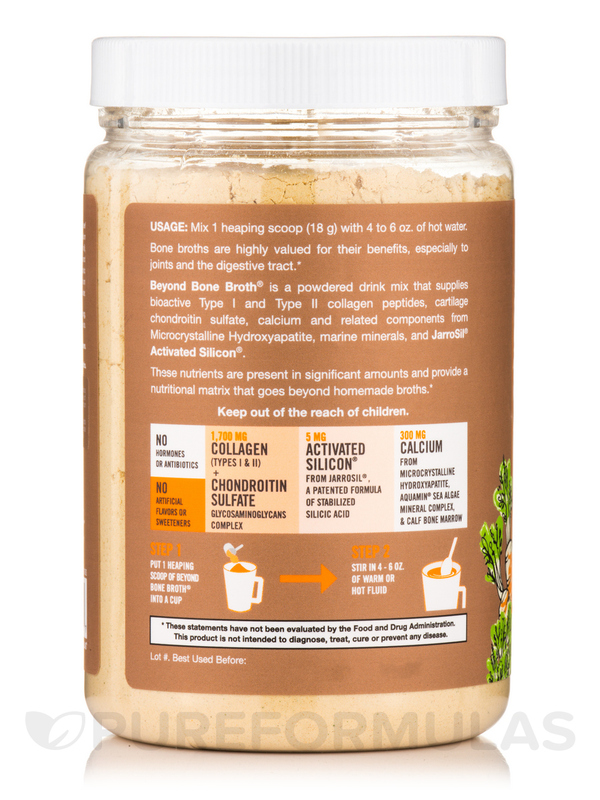 Mix 1 heaping scoop (18 Grams) with 4 to 6 oz. of hot water.